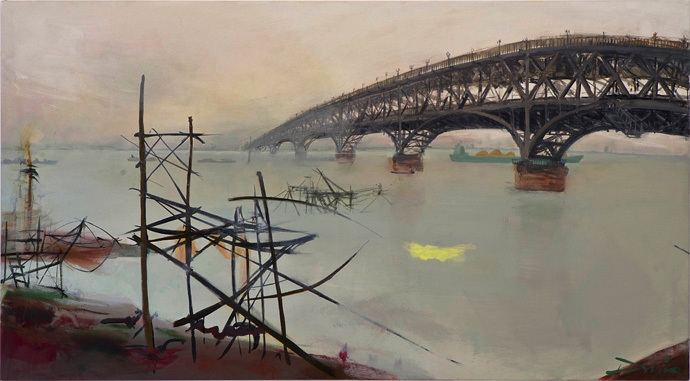 The paintings The Yangtze River Bridge, Forth Family, Ofrenda and NanBei are based on two iconic Chinese rivers and two British estuaries, each one a palimpsest of memory, history, experience and encounter. Although they are painted in oils, they came about following my studying and experimentation since 2010 within the Chinese ink painting tradition. Copyright © 2009-2016 Kate Downie. All images on this site are copyright and must not be reproduced in any form.